James J Zogby is founder and presidentof the Arab American Institute (AAI), a Washington, D.C.-based organization that serves as the political and policy research arm of the Arab American community. Since 1985, Dr. Zogby and AAI have led Arab American efforts to secure political empowerment in the United States. Through voter registration, education and mobilization, AAI has moved Arab Americans into the U.S. political mainstream. In 1975, Dr Zogby received his doctorate from Temple University's Department of Religion, where he studied under the Islamic scholar, Dr. Ismail al-Faruqi. He was a National Endowment for the Humanities Post-Doctoral Fellow at Princeton University in 1976, and on several occasions was awarded grants for research and writing by the National Endowment for the Humanities, the National Defense Education Act and the Mellon Foundation. Dr Zogby received a Bachelor of Arts from Le Moyne College. In 1995, Le Moyne awarded Zogby an honorary doctoral of laws degree and in 1997, named him the college’s outstanding alumnus. In 2007, the Temple University College of Liberal Arts also singled out Zogby as an outstanding alumnus. The pro-PLO propaganda organization in the US known as the Palestine Human Rights Campaign. This was an organization formed in late 1977/early 1978 by the Zogby brothers James Zogby and John Zogby, according to sources who followed this organization's creation. The PHRC was an amalgamation of veteran Communist Party USA members and supporters, Hanoi supporters (i.e. the "Hanoi Lobby"), black Marxists and extremist clergy, traditional PLO/Palestinian operatives and supporters, and white radical pro-PLO clergy. A few Hispanic Marxists/leftists and at least one member of the marxist American Indian Movement (AIM) were also "signers". In 1984 and 1988 James Zogby served as Deputy Campaign manager and Senior Advisor to the Jesse Jackson Presidential campaign. Demonstrations were scheduled for New York City, Chicago, Houston and San Francisco. Endorsers included James Zogby . In 1995 Democratic National Committee Chairman Don Fowler appointed Zogby as co-convener of the National Democratic Ethnic Coordinating Committee, an umbrella organization of Democratic Party leaders of European and Mediterranean descent. In 1999 and 2001 he was reelected to that post. Also in 2001, James Zogby was appointed to the Executive Committee of the Democratic National Committee, and in 2006 was also named Co-Chair of the DNC’s Resolutions Committee. The the February 1992 issue of the Unity Organizing Committee's Unity, carried commentary from several activists on their thoughts on politics in the 1990s. Those interviewed were Rose Sanders, civil rights attorney, Selma, Oscar Rios, mayor of Watsonville California, Roger Green, state assemblyman Brooklyn, Wilma Chan school board president Oakland, Dr. James Zogby, president Arab American Institute, Pedro Noguera, president Berkeley School Board, Richard Moore, SouthWest Organizing Project, Tajel Shah, United States Student Association president, Merle Hansen, North American Farm Alliance, Wilma Mankiller, principal chief of the Cherokee Nation, Walter Johnson, secretary treasurer San Francisco Labor Council, Ginny Montes general secretary NOW. 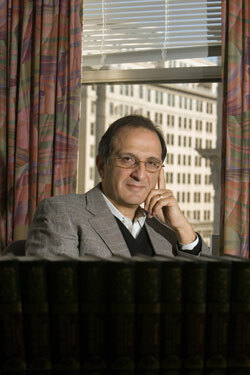 In 2010 James Zogby was listed as a speaker for the Islamic Society of North America. Zogby is on record as an opponent of what some call Islamophobia. He has described ordinary Americans as racist xenophobes who pose a threat to Muslims. In a 2012 panel discussion at the National Cathedral in Washington, D.C., Zogby said "This hatred toward Muslims is largely concentrated with middle class, middle age, white people, and then it overlaps almost identically with the Tea Party. It is not a Republican thing. It’s a generational thing. And it is a phenomenon born of a simple set of conditions, collapse of home mortgages, foreclosures increasing, pensions in collapse when the stock market went down, unemployment doubling, the decline of the American dream. In our polling we always used, when we’d say, are your children going to be better off than you, that’s the American dream question, we’d get two thirds saying yes. We now get two thirds saying no." Arab American Institute founder and president Dr. James Zogby was one of five individuals selected by presidential candidate Bernie Sanders in May 2016 to serve on the Democratic Party Platform Drafting Committee. In May 2016, James Zogby penned an OpEd criticizing Israeli Prime Minister Benjamin Netanyahu for the Arab American Institute. Zogby wrote in part that Benjamin Netanyahu "has no interest in ending the occupation or providing justice for the Palestinians...Equally important to note is that far from being a strong leader, Netanyahu is weak and constantly fearful of others, both inside and outside of his government, who may challenge his authority. Alongside his core belief in maintaining Jewish control over Eretz Israel stands his concern with maintaining his personal power. These two goals define the man and explain his bullying and his maneuvers. His behavior has been shameful, but so too is the extent to which Israelis, Americans and others continue to enable his malevolent rule." March 10, 2017, South Asian Americans Leading Together (SAALT), a national South Asian civil rights organization, along with partner organizations, American-Arab Anti-Discrimination Committee (ADC), Arab American Institute (AAI), Council on American-Islamic Relations (CAIR), Desis Rising Upand Moving (DRUM), Indiaspora, MPowerChange, National Council of Asian Pacific Americans (NCAPA), National Network For Arab American Communities (NNAAC), Sikh American Legal Defense and Education Fund (SALDEF), and Sikh Coalition joining with and Members of Congress, held a vigil on the steps of the Capitol to honor the victims of hate violence in South Asian, Sikh, Muslim, Hindu, and Arab communities nationwide. As of January 2018 James Zogby served on the Board of the Arab American Institute. Other submittees included James Zogby. This page was last modified on 20 March 2019, at 04:18.